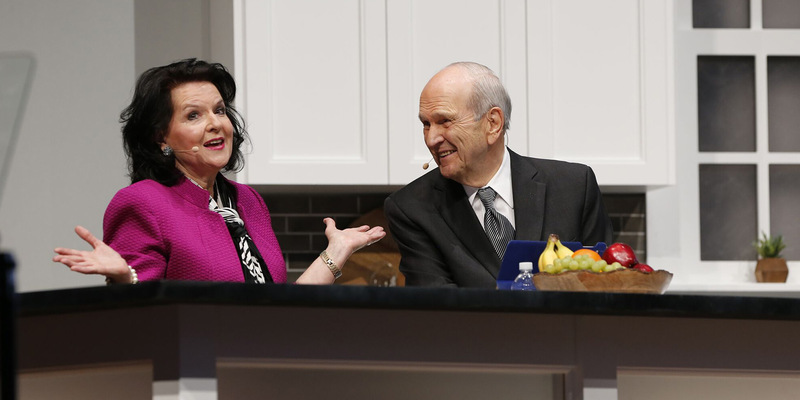 The Family Discovery Day began Saturday afternoon with a keynote address from President Russell M. Nelson, President of the Quorum of Twelve Apostles, and his wife, Sister Wendy Watson Nelson. 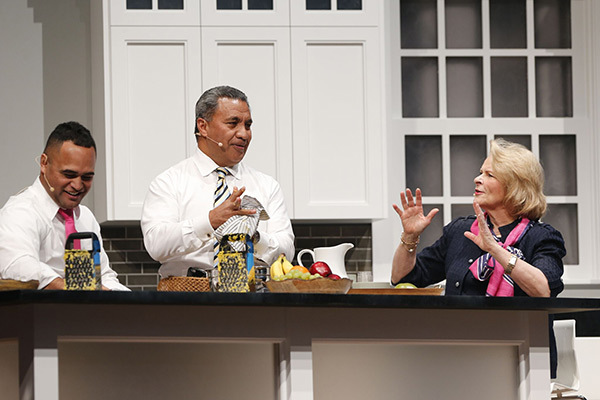 The Nelsons figuratively invited attendees into their home by sharing stories from their family life, offering their unique perspective on family heritage, and stressing the importance of family history temple work. “Perhaps having family history documents, photos and memorabilia always before our eyes can strengthen our testimonies,” said President Nelson, noting that knowing a person’s family history was only half of the battle; performing Temple ordinances for deceased ancestors is the next important step. Sister Nelson echoed her husband’s comments, stating that individuals will find increased feelings of peace, love, and self-mastery when engaged in meaningful family history and temple work. At the conclusion of his remarks, President Nelson challenged attendees to find opportunities to sacrifice personal time to help family and ancestors on the other side of the veil. Vai Sikahema, Reno Mahe, and Sheri Dew took the Family Discovery Day stage following the Nelson’s. The three BYU fans swapped stories about their families and the sacrifices that made them stronger. Following their keynote, Hank Smith, popular youth speaker and BYU professor of religion spoke about how he came to appreciate his own family history. The night ended with cake and a musical sing-off. 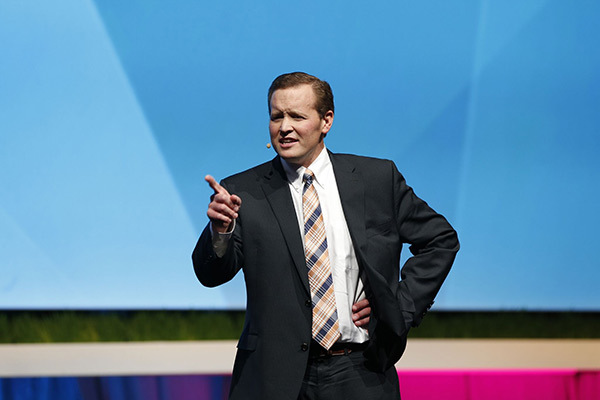 Jason Hewlett, RootsTech emcee and man of many talents, hosted and entertained, while BYU a capella groups Vocal Point and Noteworthy sang the night away. While the 2017 conference may have come to an end, we’re already looking ahead to next year’s get-together. Mark your calendars for RootsTech 2018 happening February 28–March 3, 2018. We hope to see you there!